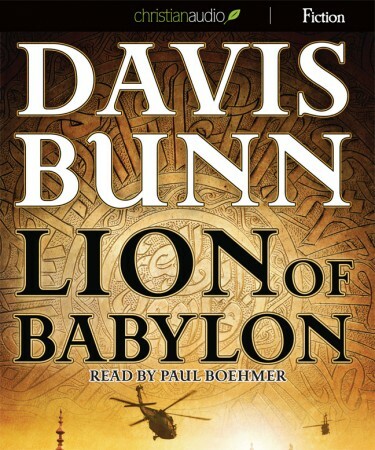 Davis Bunn's 1st book in his Marc Royce series is Published by Bethany House, Center Point Large Print, and Christian Audio. As with all audiobooks the narrator can make or break a book by their presentation. Paul Boehmer has done as well as any I have heard recently when it comes to this dramatic character rich genre. His comand of accents and clarity of speach raise this audiobook title from good to great. David Bunn's character Marc Royce has been fired from his job in intelligence for taking 9 months off to be with his dieing wife. When the man who fired him asks him to come back for one off the books mission Marc only agrees because his mission is to find his best friend who has gone missing in Iraq, along with two other Americans. When during Marc's investigation he finds that 40+ Iraqi children have been kidnapped as well he joins forces with a local Iraqi who will help him find the Americans only after the children are found makes for a quick paced against the clock thriller. The tug-of-war between political factions from the United States and Iraq, as well as the religious communities within the Middle East add a new level of intrigue to a story in this genre. This book is as well written as any Vince Flynn "Mitch Rapp" novel and also includes faith as an integral part of the story. The story alone draws the listener in well before Jesus is mentioned. I only mention this because Islam and Judiasm are often spoken of in literature but Jesus is rarely mentioned in a way that sounds like a normal religious choice. David Bunn does this expertly within his book without being preachy. On the story alone I recommend this audiobook, the fact that it represents Christians in a honorable way makes it unique. I am glad to have found this series and hope to review "Rare Earth" and "Straight of Hormuz" Books 2&3 in this series soon.